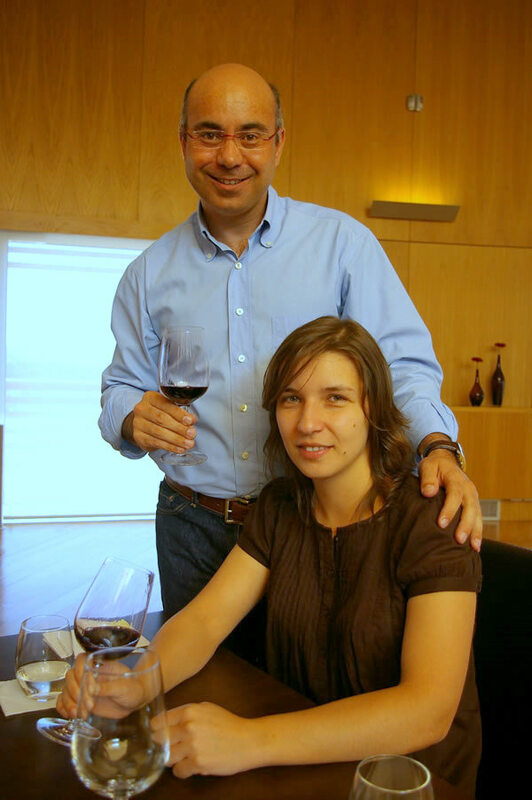 My Bairrada trip began with a trip to Luis Pato, to try his wines and also those of his daughter, Filipa's – you can read about this here and here. The next stop was at Quinta do Encontro, which is part of the Dão Sul group. If Pato can be regarded as a modernizer in Bairrada, the Encontro is doubly so. 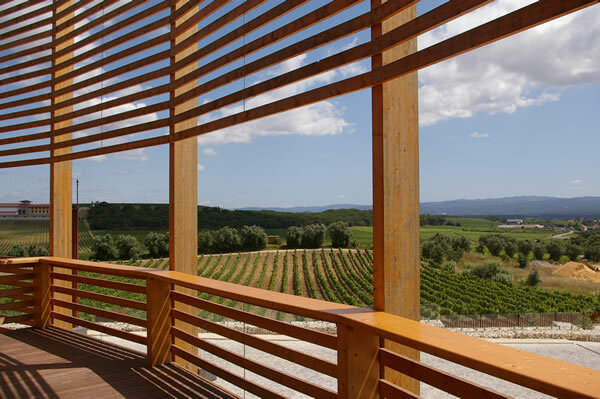 Dão Sul have just constructed a remarkable new winery here, which has, as its primary purpose, one suspects, a role in wine tourism, because of its striking architectural design and wonderful restaurant. 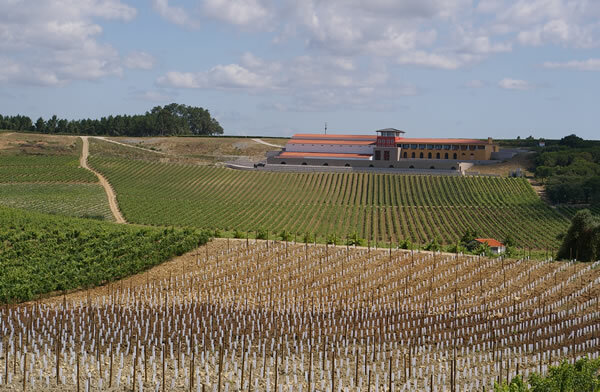 Carlos Campolargo is another Bairrada modernizer, and it took him ages to get permission for his striking new winery, close to Encontro. 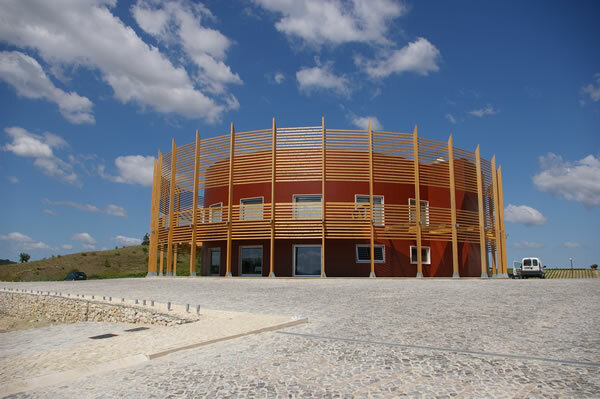 He must have been a it upset when Dão Sul quickly got permission for their even more striking creation in direct eye-line of the Campolargo winery (pictured below is the Campolargo winery viewed from Encontro). ‘Everything is round’, says Dão Sul’s Carlos Lucas of the new Encontro, ‘like a barrel or a bottle’. I met with him and one of his winemakers, Lucia Freitas, who was driving Carlos around so he could get some work done on the journey. ‘Bairrada is an old, traditional region with an old mentality’, says Carlos. 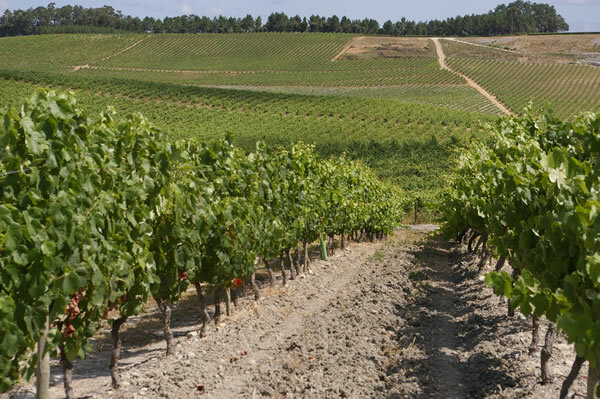 ‘It’s common to think of Bairrada as a wine to keep for 20 years. We are making Bairrada for younger people: the design is attractive for younger people; it’s a cellar for younger people. We believe in the potential of the region: it’s not a region for quantity, but it is for quality. People have been surprised that we’ve spent so much money here’. The staircase connecting the various levels of the building is like a corkscrew. The cellar is really well designed, with capacity for 200 tons a year. 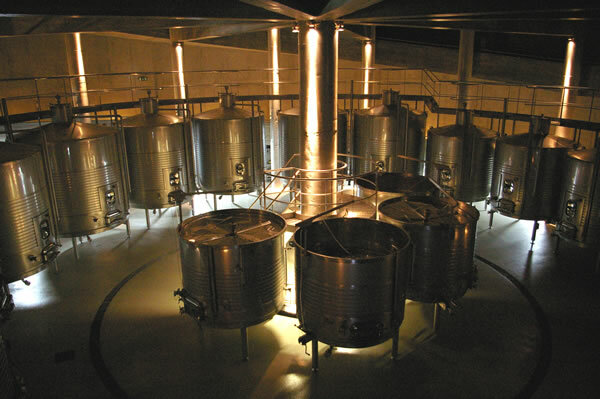 The four small tanks in the centre have a remote automatic processing capacity, so winemakers can do remontage from home, for example. The building was controversial when it first opened two years ago. ‘People likened it to a bullfighting arena or a goldfish bowl’, reveals Carlos. Of course, Encontro is just a small part of what Dão Sul is about. They have two cellars in the Douro, three cellars in the Dão, one in Estremadura, a new one in Alentejo, plus cellars in Priorat, Argentina and Brazil. There are eight winemakers in the team, five of whom are female, with Carlos the big boss man. ‘Our philosophy is to make good wines for a good price’, says Carlos. ‘We started doing this 10 years ago. 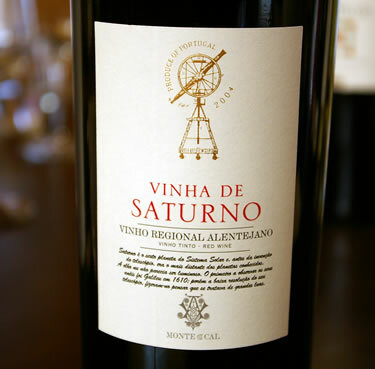 I like making top wines, and we have lots of these, but I like even more making 1 million bottles of good wine’. After a tasting, we had some lunch. It was fantastic – the kitchen here really know how to perform.